Please note: The following remedies are taken from the book MARIE-JULIE JAHENNY: THE BRETON STIGMATIST, by André, Marquis de la Franquerie. Click here to download this booklet for free. To lessen the effects of storms and disasters: see section entitled, "Devotions." Botanical name: Glechoma hederacea -- Note: This is NOT the same as St. John's Wort. It is a DIFFERENT PLANT. Look it up by the botanical name (Glechoma hederacea). It is commonly available, but will not be available when it is needed, so we are to stock up on the leaves now. A medal of My Divine Heart. A medal, traced on it My Adorable Cross. You will dip in a glass of water, these two images made of either cardboard or metal. You will drink this water that is twice blessed and twice purified. A single drop in your food, a tiny drop will be sufficient to keep away not just the scourge, but the scourges of My Justice. You will give a drop of this water to the poor souls struck by the scourges of unknown illnesses. To dissipate all fear and all fright you will touch your foreheads with the picture or the gentle medal of Mary Immaculate. Your spirits will remain calm. Your intelligence will not fear the approach of the terror of men. They will not feel the effects of My Great Justice. Make a tea with violet leaves. This tea is very strong and may cause migraine headache. Take by the spoonful or sip it from time to time, as you record body temperatures. 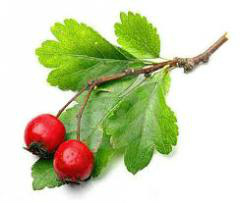 Hawthorn: Even when the leaves are dried out, they still make an effective yet mild-tasting tea against Cholera and even congestion. Steep the leaves of the Hawthorn bush for 14 minutes,with a lid so as to keep in the steam. Drink three times a day. This is a mild-tasting tea which also removes sinus congestion and lessens coughing. There will only be one remedy for protection. It will be to swallow, written on very thin paper: "O JESUS, CONQUEROR OF DEATH, SAVE US. O Crux ave."
Aerating water is easy, it takes away the tinny taste of boiled water, and it will not cause headaches. Having to boil water is often a temporary necessity. However, the taste of cooled boiled water is tinny, and drinking it gives you a headache. How to avoid the headache or bad taste? Get two jugs of equal size or else fill up the smaller jug with boiled water that has been allowed to cool to room temperature. 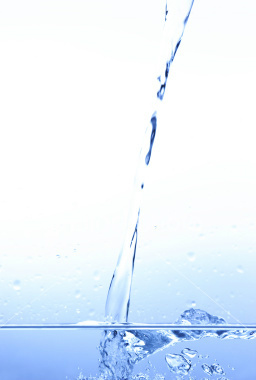 Begin pouring water from one jug to the other, creating a waterfall through the air. Do this a half-a-dozen times. Now the water is ready to drink and it will taste good! Falling water takes on oxygen atoms from the air, thus aerating the boiled water. The tinny taste is gone and no one will get a headache from drinking it. "Okay, Grandpa and you kids, bottoms up! "